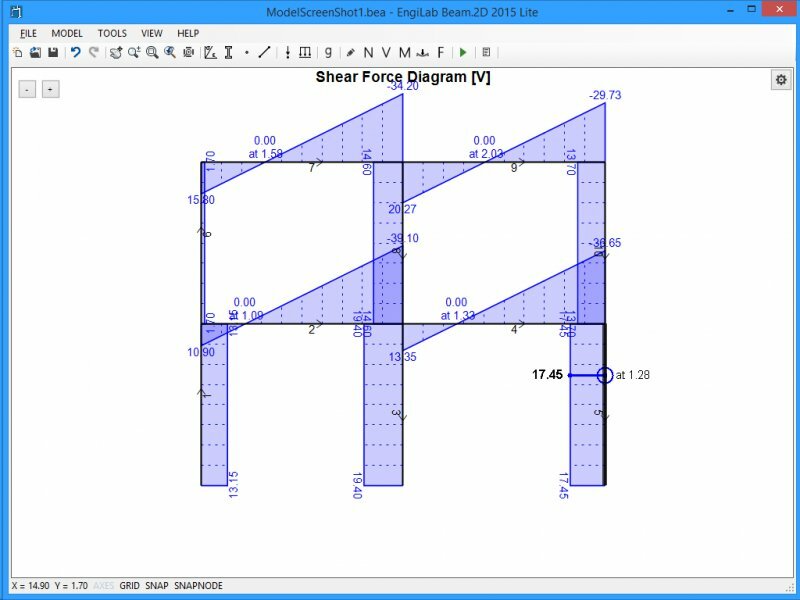 EngiLab Beam.2D 2015 is an easy-to-use yet powerful engineering tool for the structural analysis of plane (2D) frames for Windows, using a 3-DOFs (Degrees of Freedom) per node approach. Drawing of Axial Force, Shear Force and Bending Moment Diagrams. Showing intermediate values on screen. Automatic scaling of Diagrams. Drawing of the Model Deformation with Automatic scaling. Showing intermediate values on screen. Automatic scaling of Deformation. * EngiLab Beam.2D download link provides trial version of the software. 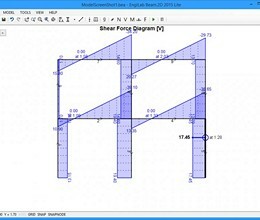 A very helpful engineeering tool for linear static analysis of two dimensional frames. EngiLab Beam.2D has been rated 4.7 out of 5 points. A total of 43 votes cast and 1 users reviewed the software.